Join us for a reception honoring Rina Cutler, Senior Director for Major Stations Planning and Development for Amtrak. Rina Cutler began working at Amtrak in April 2015. She is responsible for advancing large scale, multi-party master plans for Amtrak's largest stations. Before joining Amtrak, Ms. Cutler was the Deputy Mayor of Transportation & Utilities for the City of Philadelphia where she oversaw the operations of a variety of City agencies including the Streets Department, the Philadelphia Water Department and the Philadelphia International Airport. 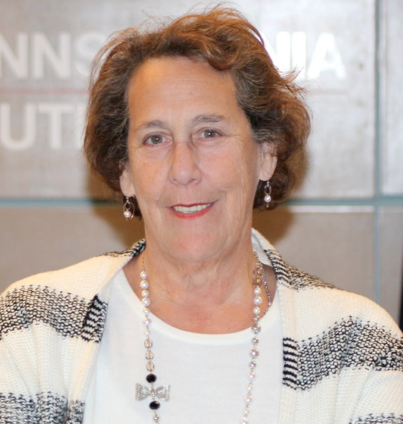 Prior to her tenure as Deputy Mayor, Ms. Cutler served as the Deputy Secretary for Administration for the Pennsylvania Department of Transportation as well as the Transportation Director for both the cities of Boston and San Francisco. Ms. Cutler has extensive experience in the management and operations of transportation systems. In 2011, American City and County Magazine named Ms. Cutler their Public Works Leader of the Year, and in 2012, COMTO named her as one of their Women Who Move the Nation.